After arriving a little jet lagged and meeting with our AirBnB host Lashawn and I set out to find food. We noticed immediately that the streets of Amsterdam had a much different energy than Chicago. Amsterdam is a little more laid back, a little sleepier if you will. My favorite meal of the day happens to be breakfast and luckily we stumbled across Breakfastclub de Pijp. 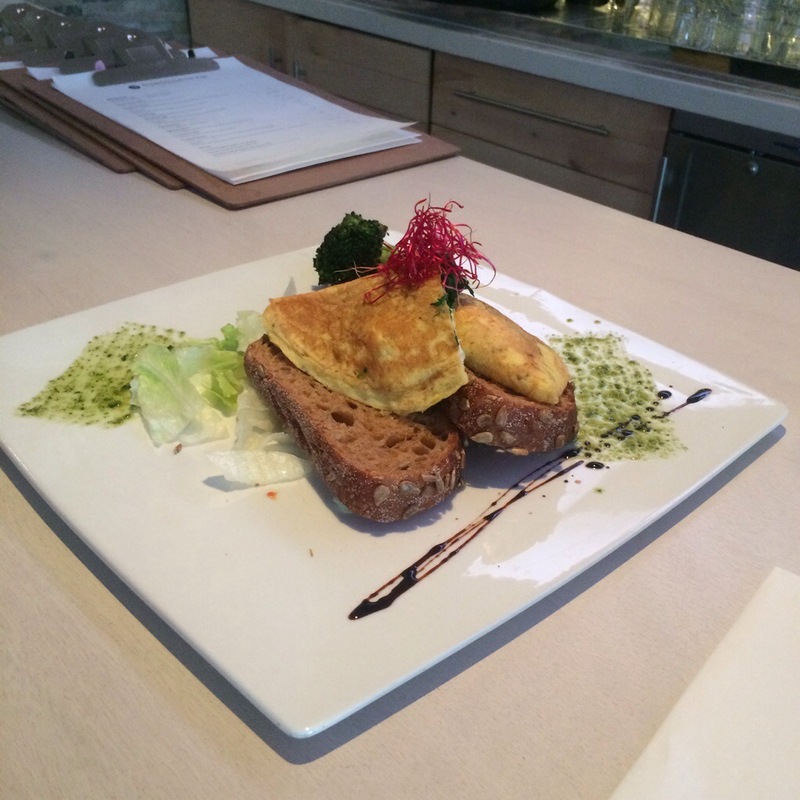 The eggs Benedict was incredible and everyone in the place was very friendly and said hello. 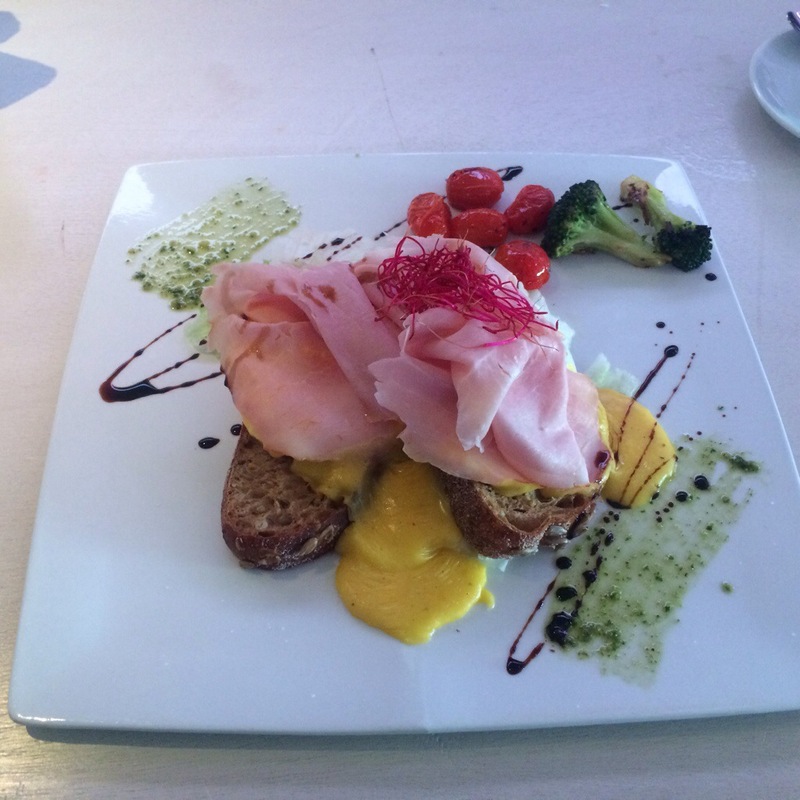 You can tell that Breakfastclub de Pijp really cares about the food because of the presentation of each dish. The plate drizzles and bright garnish really make the meal not only appealing to the taste buds but to the eyes and nose as well. When we were served the waitress set down the plates and said “Now these are only for looking not for eating because they are too pretty”. And she was right, our meal was beautiful! Not too sure what my counterpart ordered to eat but he said the food was delicious and this Amsterdam breakfast clearly looked good. We chatted with our server and some locals who happened to eating there. A sign of a good place is if you see the locals there. We discovered the secret to tipping in Amsterdam from our server as well. Our meal was around €23 which is a great value as you will see.